With all of the clever and unique upcycling DIY ideas out there on sites like Pinterest, it’s hard to justify tossing wine bottles and lightbulbs in the garbage to be shipped off to the landfill. We have put together our 5 favorite upcycling DIY ideas from sites like Pop Sugar and Seekyt. Planning an event with wine service and want to reduce your carbon footprint at the same time? Ask your beverage specialist to save the bottles for you and create this great chandelier for your next rustic party. Do you have a handful of books lying around that you will never read again? Here is a great way to turn them into an elegant garland with a personal touch! Unless you are an avid canner, you may not have an excess of mason jars to up-cycle but they sure do make great candle holders for a rustic touch to your spring event. Use them as simple candle holders or turn them into garden lights to decorate your walkway. Looking for a unique and cost effective centerpiece for your spring event? 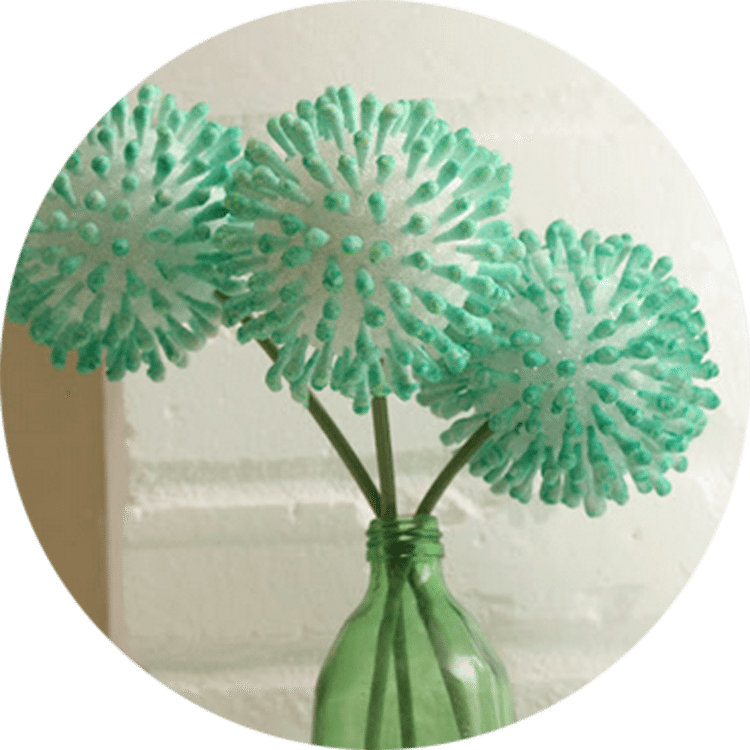 Here is an easy Anthropology inspired abstract bouquet that will add character to any table setting.